Trump mianował ambasadora w Arabii Saudyjskiej. W tle sprawa zabójstwa Chaszodżdżiego? 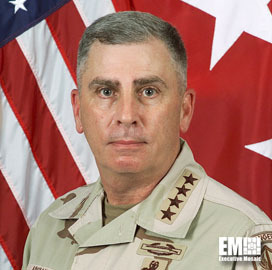 Trump ismini açıkladı: Emekli asker John Abizaid! Form 4 Virtu Financial, Inc. For: Jul 01 Filed by: Abizaid John P.
John Abizaid, a former commander of US Central Command, has been appointed by the Pentagon to advise Kiev on reforming the Ukrainian army and defence ministry. He will be assisted by Nicholas Ralph Parker, the former chief of staff of the British Army.